ADANI will soon be offered its own terminal at Mackay Airport in a bid to secure FIFO operations from Mackay to the Carmichael coal project. While Mackay was named the maintenance hub for the project on December 6 last year, Adani also announced that only Rockhampton and Townsville had been shortlisted as potential FIFO hubs for the $21billion project. The decision surprised many who believed Mackay's experience handling FIFO operations in the past would make it an obvious choice. But within the next two weeks, Mackay Regional Council and North Queensland Airports will again meet with Adani to "refine their pitch" for the FIFO work, ahead of the final hub announcement, expected in February. Mackay Mayor Greg Williamson said he would highlight to Adani the potential for it to operate it's own separate airport terminal, using the old terminal that was replaced in 1991. While this terminal has been used by various charter operators over the years, it is currently vacant. Mackay Airport general manger Rob Porter agreed it would be a viable option: "If Adani wanted their own terminal here in Mackay then we can activate our old terminal, we could fit that out". "We would work with Adani to identify and accommodate their needs and from there establish the commercial arrangement that best suits both parties," he said. He said other airport users or general charges would not be impacted by this arrangement. Among the advantages this could offer would be the cost and time savings in security; instead of workers having to go through checks every day, they could be pre-vetted. This would reduce costs of security staff and equipment for the company. It would also allow workers to check in for work as they checked into the airport, meaning shortages created if people were sick could be filled before the plane left for the site. Mr Porter said having a dedicated terminal would give Adani the opportunity to incorporate other aspects of their operations into the same space, which may include running training, support programs or administration offices. "(Adani has indicated) a separate-use concept would be very palatable," Cr Williamson said. But Mr Porter indicated that even if Mackay was passed over initially for FIFO work, it would inevitably secure a slice of the FIFO pie. "We'll have FIFOs that are going to go out to Carmichael, out to the Adani mine, because this is where the strength of mining is," he said. "The whole of Paget and all of the regional assets that we have here for mining will have to get out to the Adani site. So it means logically it's more efficient to put the workforce in the same place, as the support services are heading out there anyway." 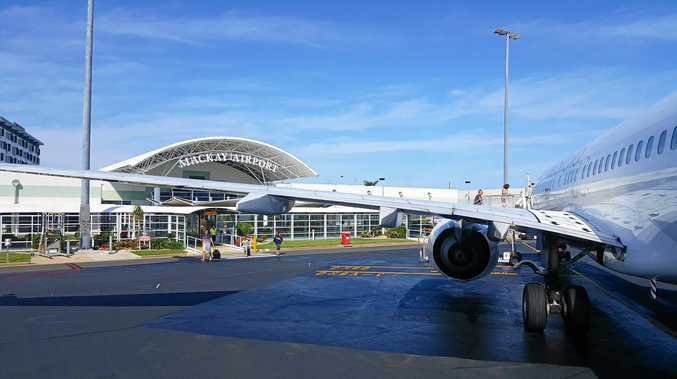 As the Rockhampton Airport is owned by its council, it is believed it was able to offer a competitive bid for FIFO through subsidies, which are likely to be passed back to ratepayers. But Rockhampton Regional Council chief executive officer Evan Pardon was unable to comment "due to the commercial in confidence nature of our conversations with Adani". Mr Porter believes Mackay Airport could be more nimble, more responsive to Adani and invest more quickly specifically because it is privately owned.